I'm Tired of Being Fucked (2011). Taking cue from Jeff Koon's recent legal troubles, this project explores some of the undesired aspects of a creative lifestyle using humour and ennui. 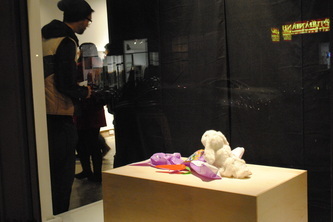 Made specifically as a window based installation (but can exist independently), the viewer is presented with two rabbits. 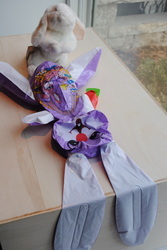 One rubber rabbit begins to inflate. 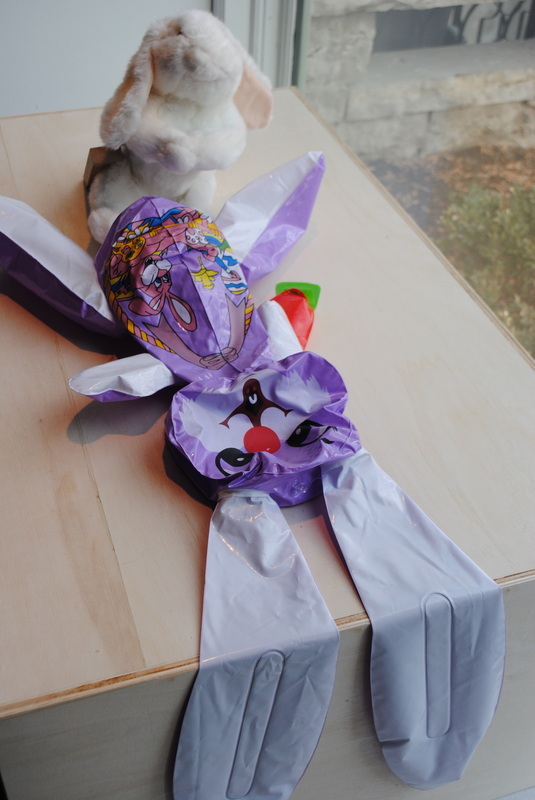 Upon reaching an almost complete state, the second mechanical rabbit begins to aggressively thrust upon the other. 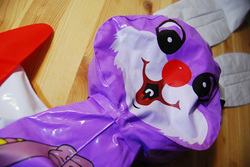 With this action, the rubber rabbit begins to deflate. These actions last approximately three minutes and repeat, with a 10 minute “break” once an hour. “The impact of Paolini’s rabbits form in the feelings derived when we watch the deflation. Nothing is ever achieved. 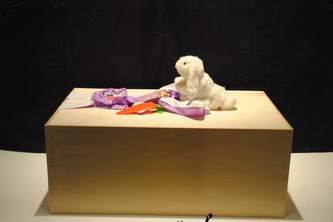 The pursuit of something is stuck inside of an impenetrable and inflated toy rabbit feedback loop. Does this mean Paolini a pessimist or just pragmatically realistic? While common sense tells us that perfection is impossible, so many of us strive for it. 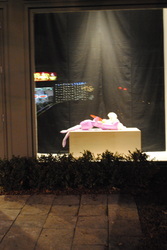 And like that furry bunny, we're programmed to keep going.” (Gwendolyn Bieniara, exhibition essay, 2011). -"I'm tired of being fucked." 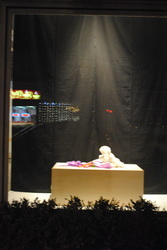 Window Space. XPACE Cultural Centre. November 18-December 10 2011. Exhibition essay available at the bottom of the page.